2004 4/4 size trade violin Setup by Hunter Valley Strings Newcastle, suit intermediate to advanced student. With hard case. 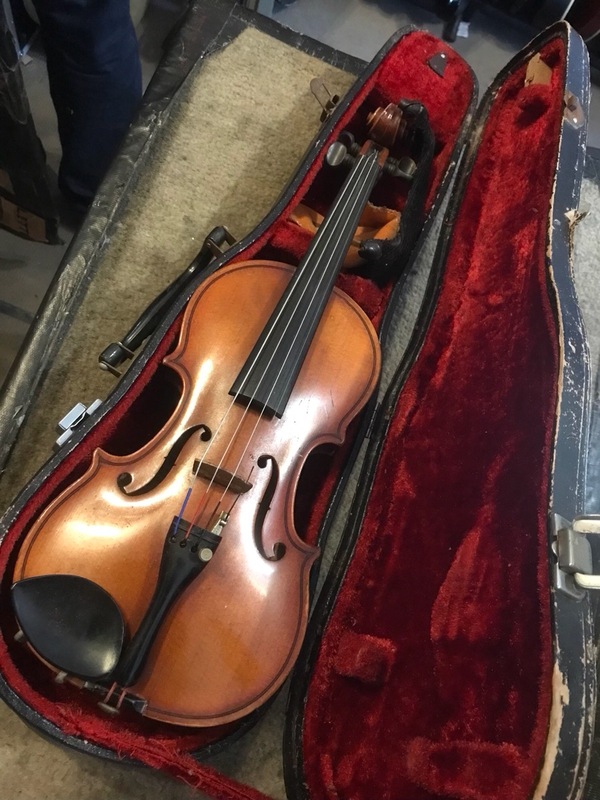 3/4 sized student violin. Very good condition! Made in korea. 4/4 sized! With bow, shoulder rest and case! 1/4 sized student violin. Very good condition With shoulder rest bow and case! Circa 1900 made in Germany. Stradivari copy in perfect order. Fully restored by Warren J Nolan-Fordham. Plates tunned with a new bass bar etc. It has been improved from its original state. With case and valuation certificate! 3/4 size violin w/case, shoulder rest & bow (bow will need a re-hair soon). Made in 2009. 3/4 size violin. Includes case shoulder rest and bow. 4/4 size. Made in Germany 1986 by Karl Muller, Bow made by Otto Durschmict, with case, shoulder rest and bow. Enter your email address below to get alerts for Violins & fiddles.